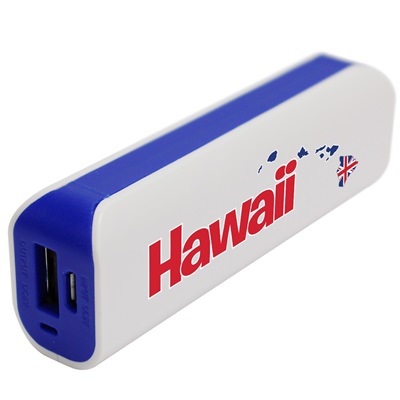 We’re givers and so with your qualifying purchase, please let us give you this wonderful White and Blue Hawaii Islands USB mobile charger! With an energy capacity of 1800mAh and a measly 2 ounces, this charger quickly lives up to its useful nature. Charge your phone or other USB device on the go, at the airport or the doctor’s office! The beautiful blue insert sets off the Hawaiian Islands, making this luxurious free gift a real treasure!